Clerkin Psychology Services Limited, parent company to Your Practice Coach (the “Company”) respects the privacy concerns of the users of its website, www.kajabi.com and the services provided therein (the “Site”). The Company thus provides this privacy statement to explain what information is gathered during a visit to the Site and how such information may be used. The Site’s various mailing lists, downloads, special offers, contests, registration forms, and surveys may request that you give us contact information such as your name, mailing and/or e-mail address, demographic information such as your age and gender, and personal preference information such as your preferred software and interests. Information submitted at the time of submission will be used by the Company only as necessary for our legitimate business interests, including without limitation the improvement of our products, services and the contents of the Site. The Company may also share such information with our business and promotional partners to further those interests. Personally identifiable information is never sold or leased to any third parties. With your permission, we may use your contact information to send you information about our company and products. You may always opt-out of receiving future mailings as provided below. The Company does not store any credit card information it may receive in regard to a specific transaction and/or billing arrangement except as necessary to complete and satisfy its rights and obligations with regard to such transaction, billing arrangement, and/or as otherwise authorized by a user. The Company may also be required to disclose personal information in response to lawful requests by public authorities, including to meet national security or law enforcement requirements. Children Age 16 and Under: The Company recognizes the special obligation to protect personally identifiable information obtained from children age 16 and under. AS SUCH, IF YOU ARE 16 YEARS OLD OR YOUNGER, THE COMPANY REQUESTS THAT YOU NOT SUBMIT ANY PERSONAL INFORMATION TO THE SITE OR TO THE COMPANY. If the Company discovers that a child age 16 or younger has signed up on the Site or provided us with personally identifiable information, we will delete that child’s identifiable information from our records. Look for Website privacy policies. Know how your child’s information is treated. Bulletin Boards and Chat Areas: Guests of the Site are solely responsible for the content of messages they post on the Company’s forums, such as chat rooms and bulletin boards. Users should be aware that when they voluntarily disclose personal information (e.g., user name, e-mail address, phone number) on the bulletin boards or in the chat areas, that information can be collected and used by others and may result in unsolicited messages from other people. You are responsible for the personal information you choose to submit in these instances. Please take care when using these features. Transfer of Information Across National Borders: Our site and various information we collect are operated on servers located in various jurisdictions, including the United States. When you access or use the Site and/or our services, personal information about you may be transferred outside the country in which you are situated to these other locations. The Company’s policies ensure that such personal information is protected to the same standard when processed by any Company entity or office around the world. We also ensure that appropriate contracts containing standard data protection clauses approved by the European Commission to protect that information and the rights of individuals are in place with any and all third-party service providers we may use. Your Access to and Control Over Your Personally Identifiable Information: At any time, but only once per calendar year, or as otherwise required under applicable law, users may contact Company to review the personally identifiable information that Company has collected about you. If you discover any errors, please notify Company and the information will be corrected. To review the personally identifiable information that company has collected about you, please send an email to [email protected] with the subject line: “Personal Information Review Request.” Users may also request that Company delete a user account(s) or, if you have not established a user account, your email address, and any related data at any time. If you wish to delete your user account(s), please email us at [email protected] with the words “Delete Account” in the subject line. If you do not have a user account and wish to delete your email address or other personally identifiable information that you might have provided through your use of the Site, any Games, and/or any Services, please email us at [email protected] with the words “Delete My Information” in the subject line. You may also choose to confirm that the Company does not use your personal information in certain ways and/or to otherwise “opt out” of certain uses of that personal information, including without limitation (i) when your personal may to be disclosed to a third party unrelated to the Company and/or parties directly related to providing your Services and/or (ii) when your personal information may be used for a purpose that is materially different from the purpose(s) for which it was originally collected or subsequently authorized by you. If you wish to limit your personal data in either such way, or have other questions about how the Company may use your personal data, please contact us at [email protected] with the words “Privacy Request” in the subject line. Your California Privacy Rights: California Civil Code Section 1798.83 permits California residents to request from companies conducting business in California a list of third parties to which the company has disclosed personally identifiable information during the preceding year for direct marketing purposes. Company has not and will not share your personally identifiable information with third parties for their direct marketing purposes; accordingly, it will not maintain such a list of third parties. If you are a resident of California and want additional information confirming how Company does not share your personally identifiable information with third parties for their direct marketing purposes, you may contact us at [email protected] with the words “California Privacy” in the subject line of your email. Security/How Your Personally Identifiable Information Is Protected: Security for all personally identifiable information is extremely important to us. We have implemented technical, administrative and physical security measures to attempt to protect your personally identifiable information from unauthorized access and improper use. We also protect your personally identifiable information offline. Only employees who need the information to perform a specific job (for example, customer service) are granted access to personally identifiable information. The computers/servers in which we store personally identifiable information are kept in a secure environment. We continually review all such measures and update them when appropriate. Unfortunately, no data transmission over the Internet can be guaranteed to be 100% secure. As a result, while we strive to protect your personal information, Company cannot ensure or warrant the security of any information you transmit via the internet. By transmitting any such information to Company, you accept that you do so at your own risk. Join My Practice Growth Coaching Club! Become a part of a community being guided into growth in 2019! 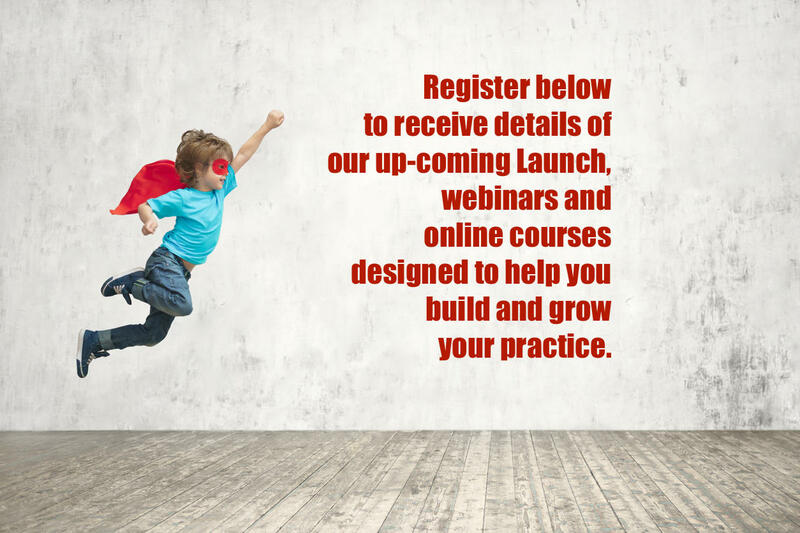 My Monthly Practice Growth Coaching Club gives you access to guidance and support so you can begin 2019 focused on the growth that you and your practice deserve. Please let me have some contact details so that I can add you to my mailing list and keep you informed of developments with Your Practice Coach, including upcoming webinars, training programmes and coaching offers. Once you've submitted this form, you will receive an email asking you to confirm your registration. You will need to click on the link to finalise your registration and I'll be in touch with updates soon. Okay then, let's do this!